NASA's history is a familiar story, one that typically peaks with Neil Armstrong taking his small step on the Moon in 1969. But America's space agency wasn't created in a vacuum. It was assembled from pre-existing parts, drawing together some of the best minds the non-Soviet world had to offer. In the 1930s, rockets were all the rage in Germany, the focus both of scientists hoping to fly into space and of the German armed forces, looking to circumvent the restrictions of the Treaty of Versailles. One of the key figures in this period was Wernher von Braun, an engineer who designed the rockets that became the devastating V-2. As the war came to its chaotic conclusion, von Braun escaped from the ruins of Nazi Germany, and was taken to America where he began developing missiles for the US Army. Meanwhile, the US Air Force was looking ahead to a time when men would fly in space, and test pilots like Neil Armstrong were flying cutting-edge, rocket-powered aircraft in the thin upper atmosphere. 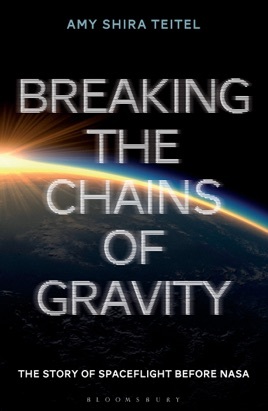 Breaking the Chains of Gravity tells the story of America's nascent space program, its scientific advances, its personalities and the rivalries it caused between the various arms of the US military. At this point getting a man in space became a national imperative, leading to the creation of the National Aeronautics and Space Administration, otherwise known as NASA. Teitel, an expert in the history of spaceflight and the host of the YouTube channel Vintage Space, illuminates the foundations of American spaceflight with this exceptional and detailed "prehistory" of the field. Jules Verne's 1865 novel From the Earth to the Moon inspired a generation of rocket engineers and scientists in the early 20th century. Searching for more power than gunpowder could provide, Romanian-born physicist Hermann Oberth designed the earliest liquid-fueled rockets, and his 1923 book, The Rocket into Planetary Space, spurred the formation of Germany's Society for Space Travel, a home for kindred space-gazing engineers and scientists. One of those was rocketry pioneer Wernher von Braun, whose work on the Nazis' V-2 rocket program that (with some fast talking) eventually earned him and his team postwar jobs working at America's new White Sands Missile Range in New Mexico. Teitel takes readers through the nitty-gritty of government-program goals, advances in design and technology, and a host of animal flights, charting the ever-winding path to the 1958 creation of NASA amid America's political and scientific focus on manned spaceflight. 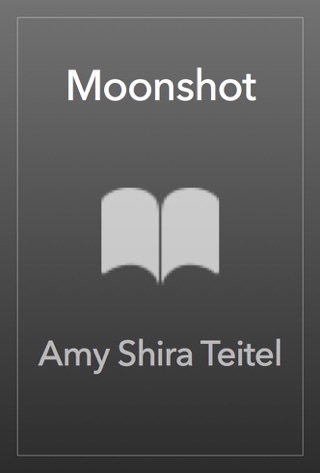 Even for readers already familiar with NASA's story, Teitel's history is fascinating new territory, filled with a galaxy of lively characters who share a stubborn determination to reach orbit.